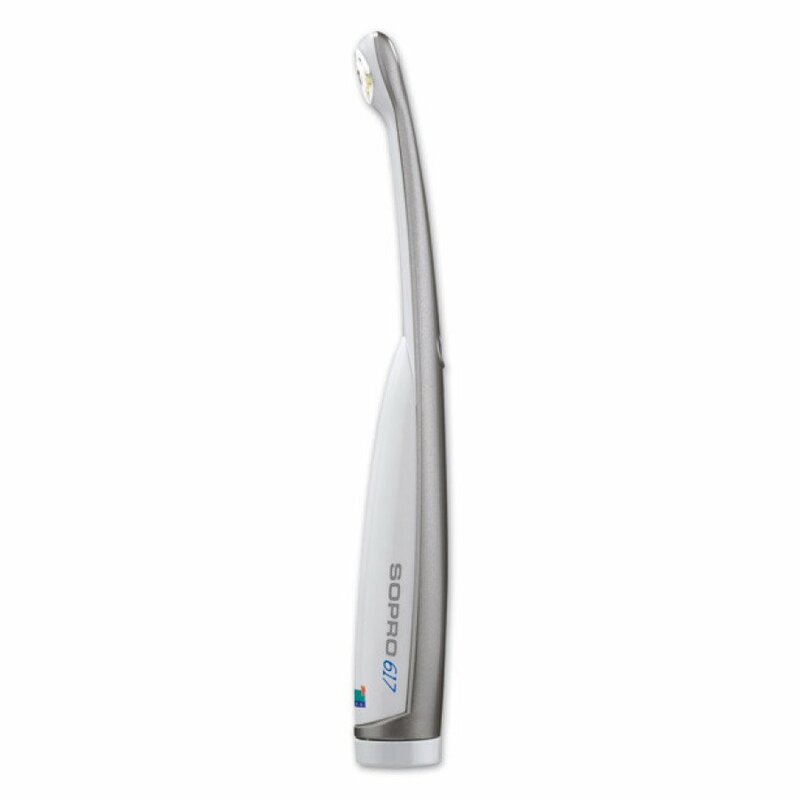 The SOPRO 617 offers a graceful curved design to improve viewing access in the patient’s mouth, as well as high-fidelity images through an aspheric lens. This means that distortion is eliminated, providing a higher quality image, allowing you to provide better care for your patients. Unmatched lighting system of the latest generation of LED’s which use condensers to focus the light and produce a highly powerful beam. SOPRO Touch allows you to freeze one our four images on the screen, minimizing blurring allowing you to work in complete confidence.